Along the lines of “the best transportation plan is a land use plan,” sometimes land use changes can impose huge costs upon the transportation system. As an example, let’s examine how industrial change in central Chicago triggered vast, and costly, shifts in how the CTA arranges its services. 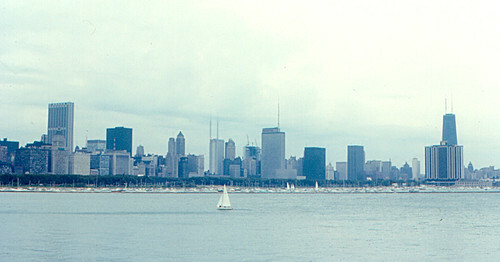 Popular perception understandably saw downtown Chicago as a boomtown: Enough skyscrapers were built to house all of downtown Philadelphia’s offices, plus all of Glenview or Moline’s residents. Within the high-rises, private-sector office jobs (in business services and finance) grew by 53%. 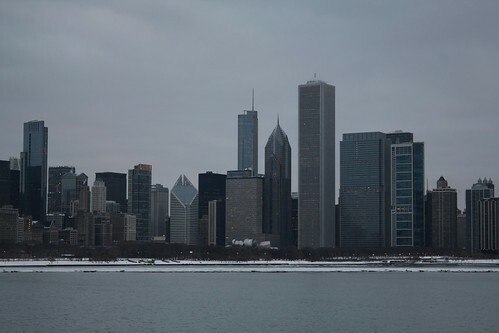 Yet the total number of jobs in Chicago’s Central Area (source) grew surprisingly little in the 1980s and 1990s — by just 10.4%. The growing skyline masked a sharp decline in nearby industrial jobs. 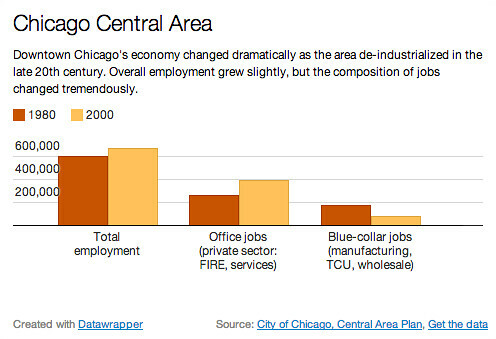 Together, the manufacturing, transportation/utilities, and wholesale sectors lost 42% of their center-city workforce. This bifurcating job market, common to many deindustrializing American cities but occurring on an leviathan scale in Chicago, exacerbated the city’s social divides, plunging some neighborhoods into despair and richly rewarding areas just blocks away. Since so much employment was at three-shift, all-day factories, service levels were remarkably consistent throughout the city and the day; that combined with the city’s grid to create the gridded bus network we all know well. 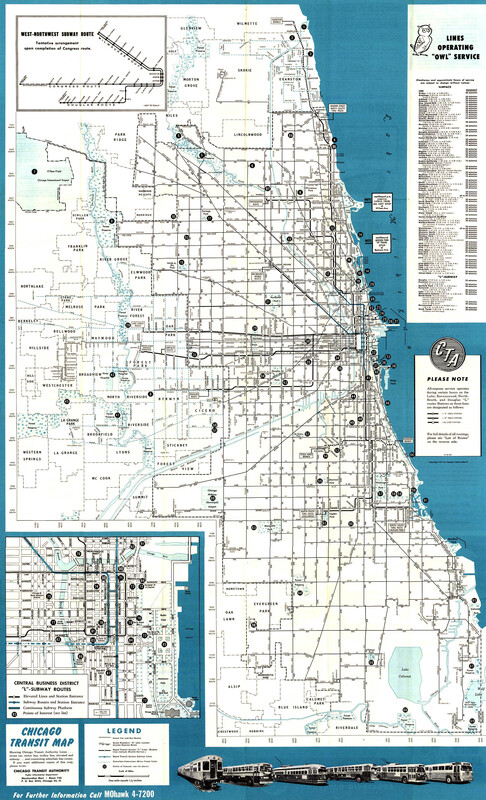 The comprehensive transit system even worked overnight: The 1957 route map lists 69 surface routes and nine elevated lines running all night. Yes, the “L” system did its work of shoveling people into the congested Loop, but even there it only carried 25% of all transit passengers — even to downtown, 75% arrived via the surface lines. The deep spiral of deindustrialization that I mentioned above also changed where and how Chicagoans commuted. Instead of dispersing themselves across the city at all hours of the day — a flow that became better suited to driving anyways — people began piling onto Loop-bound trains for 9-to-5. Commuter trains always ran highly “peaked” service, with many more vehicles during rush hour, but these services’ peaks have dramatically grown. 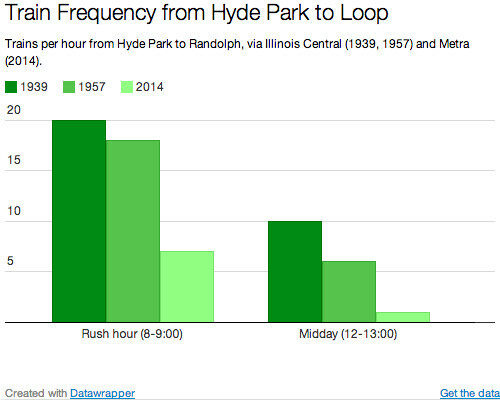 The commuter line from Hyde Park to the Loop used to run a 2:1 ratio of peak : midday trains in 1939; now that’s a 7:1 ratio. Bus ridership, particularly crosstown, dropped off — setting off a vicious cycle of cuts (chronicled by Joshua Mason and Graham Garfield) that reduced crosstown bus service to a shadow of the former streetcar empire. Today’s route map counts a mere 17 all-night surface routes; three-fourths of the corridors that used to have nighttime transit now don’t. Yet parking buses overnight is relatively easy to do, even though idle capacity is expensive in the long run. What’s been much more difficult, and costly, is adding new capacity to accommodate the ever-larger rush hour crowds, particularly for the growing (Loop-centric) rail system and commuter express buses. Already, CTA spent $530 million on the Brown Line Capacity Expansion Project, which increased train lengths by one-third, and more recently spent over $1 billion on a train order that increased its fleet by 17%. Many of its other planned capital projects, like rebuilding the North Side Main and untangling Clark Junction, will also sink huge sums into upgrading the system to accommodate rush hour crowds. A small countervailing trend has more recently emerged, though. The city as an entertainment destination — as a site of 24-hour consumption, rather than production — has pushed the system to slightly extend evening hours. That said, the efforts will always pale in comparison to the overnight network that once existed, serving not the few who partied all night, but rather the many who worked all night.